I finally received written confirmation from the Civilian Marksmanship Program that I have been awarded 8 EIC points towards my Distinguished Rifleman badge for my performance in the US Navy Pacific Fleet EIC match back in May at Camp Pendleton. Since these are my first EIC (aka LEG) points, I also received my Bronze Excellence In Competition badge. 22 more points and I’ll earn my Distinguished Rifleman badge (Gold EIC badge, 30 points necessary). You can only obtain EIC points by shooting in EIC matches. You can only shoot in three EIC matches per year along with the National EIC. Only the top 10% of non-Distinguished participants in an EIC match will be awarded EIC points. You must earn at least one 8-point or one 10-point EIC award (winning five 6-point EIC awards equals 30 points total, but does not yield a Distinguished badge). I have only participated in two official EIC events: the 2006 November Creedmoor Cup EIC and the 2007 US Navy Pacific Fleet. The Creedmoor Cup EIC back in 2006 was my very first Across the Course event and I shot a mediocre score of 444-2x (out of 500). But I’m very happy that in six months time to my second ever EIC event, I was able to improve my score dramatically (477-14x) and earn that 8-point ‘hard’ LEG. How does the point system work. You say you shot 477-14x what does that mean? The reason that I ask is I am a soldier in the US Army and am looking to get involved in this sport. Thank you very much for you answer and am looking forward to reading what ever you can tell me. 477-14x means 477 points with 14 X-ring shots. In EIC matches, there are 500 points possible (10 points per shot, 50 shots total). As far as EIC points, civilians need 30 EIC points to go Distinguished. EIC points are issued to the top 10% at each match. Note: The number of EIC points to earn Distinguished varies for all branches of the military. You’ll have to find out what it is for the Army. 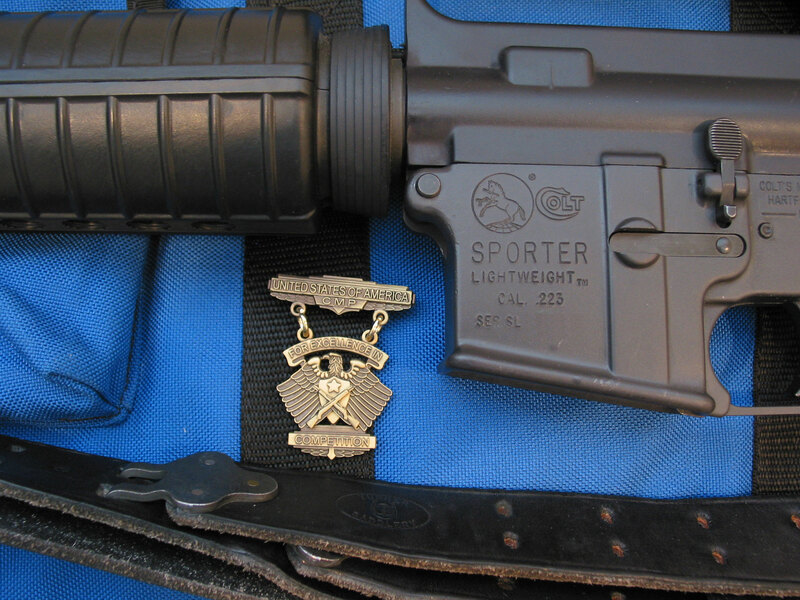 From what I understand, if you earn the Distinguished Rifleman (or Pistol Shot) badge as a civilian and then join the Army, you can (by request) wear the Distinguished badge on your uniform. Everyone Civilian or Military regardless of branch must earn 30 points in order to distinguish…the standards are the same now for everyone.